I was really excited to have Chef Paul Vroman from Aunt Rosie’s as my guest on this episode of the Food About Town podcast. Paul was one of the first people to give me positive feedback about doing this whole writing thing and I’ve been following him since his days at the Brick-N-Motor food truck. Aunt Rosie’s has been one of my favorite stops in Rochester for food and somewhere I feel really comfortable that I’m going to get some great food. We have had plenty of discussions at the restaurant or at food events around town but this was a great opportunity to just go at it for 45 minutes or so and nerd out. This is also part of my City Paper review follow up project and after a review I was particularly proud of. 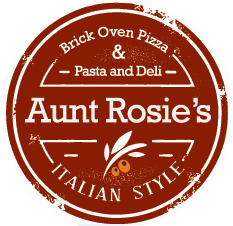 Make sure to check out the food at Aunt Rosie’s and follow them on Facebook for their daily lunch specials that make me jealous just about every day. Working on some new guests in the next few weeks and hope to have more news on them coming up soon. Thanks for Paul for joining me on the podcast and thanks for listening!